Construction on the new resort is set to begin in the Spring of 2018 and should be completed by the Spring of 2020. The resort will have approximately 990 rooms, a 200,000 sqft indoor waterpark, an outdoor waterpark as well as Spa Kalahari and Salon. Admission to the water park will be included for all registered guests. The resort will also have 4-8 full-service restaurants that will be open to guests as well as the public. The seven-story hotel, resort and conference center will be built on Phase 1 of the development, approximately 150 acres that start about where the current welcome center is and runs to Kinney Fort. The two primary entrances for the new resort will be on Kinney Fort, but Harrell Parkway will also be extended across US 79 and lead into the resort. The entire development is actually 351 acres and runs all the way to the Brazos River Authority Office further east on US 79 and is bordered by Brushy Creek on the south. Kalahari’s development plans for the remaining 200 acres has not yet been determined and will depend somewhat on the success of Phase 1. According to the Welcome Center host, Kalahari Resorts has had a positive impact on home values in the communities they have joined and I expect the resort to have a similar effect on Round Rock. The Kalahari Resort in Round Rock will actually be the first resort that is built in a community as large and developed as Round Rock. Kalahari should be a huge boost and draw for Round Rock residents and visitors to our city. 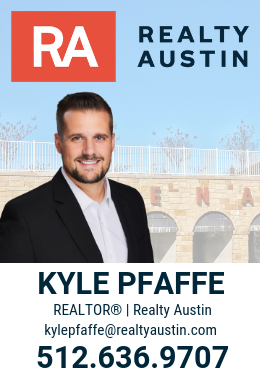 If you have any questions about the current developments, Round Rock or real estate, you can drop me a note here or contact me using the information below.